Goal: To improve the Health Status of Children, Women & Men in Sitakund Upazilla of Chittagong District. Objectives: To increase the use of & demand for cause effective health services delivered solely or jointly by NGO & GOB amongst the poorest communi9ties specifically for women & Children. This Program started from 1995 with financial & Technical support from BPHC/PHD. 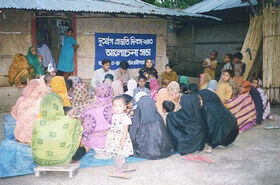 From 2005 it has been continuing by YPSA own fund & Bangladesh Health & Family Planning Department. Anti Natal Care (ANC) ,Post Natal Care (PNC), RTI/STD, Maternal Health, Child Health, Family Planning Methods(Injection, IUD),Physiotherapy, General Treatment, Referral for higher treatment to GOB Health service. Satellite Clinic, Contraceptive distribution, House visits, Follow ups on patients, Health Watch, Committee (HWC) MEETINGS, Adolescent Meetings, Assist the Government’s EPI activities, Court yard/ Group meetings, Counseling for behavior change communication, Educating newly married couple about family planning, support to GOB, EPI, Supported & actively participant in NID, provide training to TTBA`s field staffs & Village volunteer , Outdoor Treatment (RTI,PHC, Maternal Health- ANC, PNC, Child Health-ARI,CDD, Infectious diseases), General treatment , Counseling , Referral for higher treatment to GOB Health service. Health related day observation (National & International), National Immunization Day observation, Support Special Camps on long term family planning methods. Attend upazilla & Union level monthly coordination meeting, Regulars coordination’s with Government Health & Family Planning Program. Regularly attend in FWC, UP, UHWC, UP, UHC & HWC meeting. 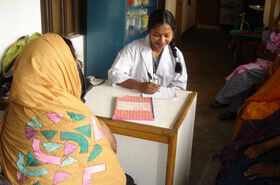 The Health Service of YPSA Plays a vital role to improve the health status of the poorest community. YPSA has a plan to start the health service in all working area in order to fulfill demand by cross cutting with others health related program. If we will get any fund from any source we have a scope to start this health related work/ program in largely or broadly.